Australia’s economic status is formidable. It remains one of the major players in the international trade and finance, with its financial center as one of the world’s largest. This Pacific nation continues its upward movement in terms of economic growth and shows no sign decline. On the other hand, employees find their work-life to be satisfactory, with a good mark in Quality-of-Work-Life Index as an uncontested proof. Investments continue to pour like raindrops and more profit centers will be opened soon. 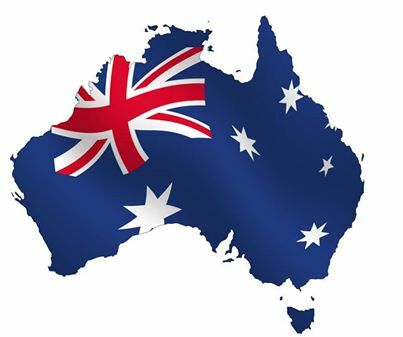 There is no stopping Australia for being one of the global market leaders. The Australian economy as a whole is really looking good, and is likely to get better in the years to come. However, this does not give every firm a vaccine that will combat external threats and internal weaknesses. The economic status alone is not the sole basis that will project the present status of all companies. In fact, even if stocks peak at the highest degree and the Australian dollar gets stronger, a company is still prone to possible dangers, losses and failures. When it comes to marketing, one of the troubles that badgers Australian firms is B2B lead generation. Obtaining new customers is not as easy as it seems to be. The complexities, difficulties, and requirements associated with B2B lead generation has been troubling Australian companies, and pushing their capacity to the limit. This is primarily the reason why some of them took counsel and formed a partnership with telemarketing services firms. So, if you think that yours is under too much pressure and burden, the sanest action to do is to revive your campaigns by hiring a B2B telemarketing company like SolutionsHead. Outsourcing, whether domestic or offshore, follows the same principles. Meaning to say, you contract a third party service provider (in this case a B2B lead generation company like us), to do a particular task such as lead generation. Then, you authorize us to use your company’s name to market your products or services. This is done through telemarketing, or marketing with the use of the telephone. Before we make contact with customers or potential customers, we extract information about the sales prospects of your target industry to build rapport while having conversations. Usually, this is preceded by email blasting or direct mailing to provide awareness that a Sales Agent will make a call. Then, our agents will reach the potential customers through high-volume of phone calls and perform the lead qualification process. This procedure will determine whether the prospect has the budget, interest, and time to purchase your offering or not. Then, warm leads will be processed further appointment setting. Once both parties agreed for the right schedule, then your sales representatives will do the job of presenting what you’ve got. We pride ourselves with experienced and skill-wise professionals, specialized call center applications, practices that have brought good results to our previous clients and competitive rates. However, it is also essential for you to remember that this undertaking also comes with risks. These include the laws that prohibit telemarketers to call prospects on the Do Not Call Registry, the cultural diversity that may not be adapted by the cold-callers, and the wrong choice of service provider. It may be too hard for you to delegate this big responsibility to a total stranger, and frankly, you are not alone. There are a lot of businesses out there that are quite skeptic of this method. However, there are also a lot of organizations that have been benefited by outsourcing B2B lead generation. If you are experiencing difficulties in finding new business opportunities or your firm’s future is hanging in the balance due to lack of sales, you should consider this strategy. It may just be the solution you have been waiting for.